Warning: this post includes spoilers for Doctor Strange and Captain America: Civil War. Proceed with caution! Marvel contracts are a Big Deal. Knowing how many movies an actor initially signed up for and how many they have remaining can tell us a lot about their future in the MCU. Did you know that Sebastian Stan is signed up for NINE MOVIES? Yeah, it's no wonder everyone thinks he's taking over as Cap at some point. "[Marvel] give you options and those could be exercised whenever. Like a cameo in Avengers," Holland told THR. "I'm unclear as to which movies though. I do know I have three Spider-Man [appearances in other] movies and three solo movies contracted. But if you have another movie, Marvel is so good at working around it. They’re very respectful of your life, really. They understand that you have to work on other movies, and they try and fix it up so you can work around each other." Three of those movies are Spider-Man solo flicks. Not a huge surprise, considering Sony is hoping to spawn a whole new Spidey cinematic universe - including that on-again, off-again Venom spin-off. 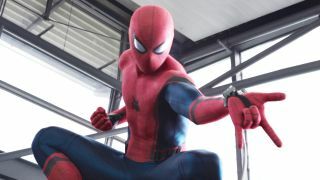 Holland's already got one in the can, Spider-Man: Homecoming, which leaves two sequels. Moving on to his "appearances." Well, his MCU debut was in this year's Captain America: Civil War. That still gives us a couple of other cameos. Marvel currently has eight films remaining in Phase Three, seven if you take out Homecoming. So, which of those two will include Holland's webslinger? Everyone who's ever appeared in a Marvel movie is scheduled to show up in this epic showdown. Seeing as how that includes Holland, I'm going to go out on a limb and say one of his two cameo spots is reserved for this. WHAT? Not the as-yet untitled Avengers 4? Hear me out. If you take a look at some of Marvel's post-credits scenes... this is where the studio lets rip a little. There's a tendency to throw together unusual combinations of characters. I mean who was really expecting Thor to pop into Doctor Strange's Sanctorum for a couple of (magic) pints and a chat? It's how things stay fresh and fun. And a nice way to remind us all that this is an interconnected universe. It's unlikely that Spidey would have a big role in Guardians 2, but more of a cameo in a credits scene. Having Peter Parker encounter Star-Lord and his gang would be a perfect way to end the movie. As the Guardians sequel hits theaters in May 2017, a couple of months prior to Spidey's new solo outing, it would serve as a reminder to those who aren't schooled up on superhero flicks that there's a new webhead in town. Really? He just happened to be passing by? More like to film a cameo, amirite? Directed by Jon Watts and starring Tom Holland, Marisa Tomei, Michael Keaton, Robert Downey Jr, Jon Favreau, Donald Glover, and Zendaya, Spider-Man: Homecoming will swing into cinemas on July 7, 2017.